I know there are two options for knockouts: deep and shallow. However, I want something sort of in between. I'm creating a UI, so there are a lot of a elements/layers going on and I like to keep them all organized on groups. However, that messes up how layers knockout each other (understandably). I don't want to use knockout: deep because I don't want layers to cut through everything, but knockout: shallow doesn't traverse up through parent groups and therefore doesn't create the desired effect. Is there a way for knockouts to go through some groups, but them stop at a specified layer and knockout only up to that? Right now, I'm having to leave layers ungrouped so they knockout correctly. Edit 2: Here are more screenshots. The first is the desired effect (knocking out the BG layer to the Wallpaper group. 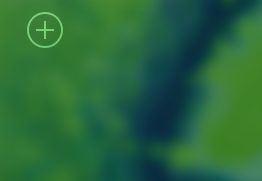 The second is simply just having the button be white with reduced opacity. I know that I could just make the shape red in this example, but I wanted to clearly show the different results between the two methods. 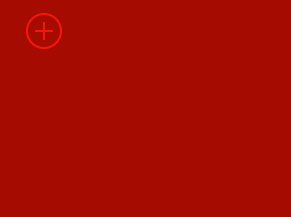 It would not work for anything that's not a solid color. One option I can think for you to do here is using a vector mask on your BG layer. Well as it turns out, you can apply a knockout to an entire group itself, so all of its content knocks out the parent content. I didn't think of that. 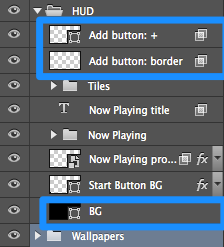 In this case, I can group the Add button: + and Add button: border layers into a group, and apply knockout: shallow to that group. This only works if you want every layer in the group to knock out, obviously, and still only affects the nearest parent group. If you don't want some layers to knock out, it seems you'll have to group them separately (which makes sense from a graphical perspective - I was wanting to group layers mostly for organizational needs). Is it possible to make stroke only shapes in Photoshop without Stroke Path? Why can't I erase a part in my layer?